Chretien was in Ottawa Tuesday as a guest of Peter Harder—the point-man on the Trudeau Liberal government’s transition into power—who was officially sworn into the Senate, along with six other appointees, including Murray Sinclair, the former chair of the Truth and Reconciliation Commission. Chretien was the Indian Affairs minister under former prime minister Pierre Trudeau who introduced the 1969 White Paper which sought to wipe out the distinct legal status of “Indian” and absorb First Nation people into the rest of Canadian society. The former prime minister was asked by reporters about what he would do with the Attawapiskat crisis. The Cree community in Ontario’s James Bay region declared a state of emergency Saturday after recording 11 suicide attempts in a 24-hour time span. Attawapiskat sits about 90 kilometres from a De Beers diamond mine. Chretien said sometimes communities aren’t viable. He said the biggest problem facing communities like Attawapiskat was “isolation,” but First Nation people were “nostalgic” about the past. Chretien said “time” is needed to let First Nation people catch up with modernity. The Indian Affairs department is now called Indigenous Affairs. The name was changed by the Trudeau government from Aboriginal Affairs. Makes me deeply sad, and sick. What are the solutions to this tragedy? We can blame the evil white man as much as we want , but that solves nothing. Is it lack of opportunities that is causing this? Why is potable water not available? Why is there overcrowding? People keep bringing up isolation as a major issue, but do they feel isolated on what is their traditional land? The MSM would have us believe that this reserve is properly funded, is that true? Before attacking me, I’m asking these questions out of genuine curiosity, not to start a race debate. Here Here! Great points! We took their land. We destroyed their culture. I know most people will say “I didn’t do that!”, but as a non indigenous person living in Canada, our ancestors did. We expect First Nations to eek out a living on isolated patches of land, and then pollute and destroy the ecosystems around them through corporate greed and development. Our government ignores treaties and land claims, as well as the mental health crisis caused by isolation and lack of resources, so that situations like Attawapiskat force the FN communities to abandon hope and give in. It is a sick, sick game that one has to see to believe. People say “Not in Canada”, but yes, we are one of the worst offenders when it comes to how we treat our indigenous communities. Yeah, Chretien’s comments about a lack of opportunities for youth in isolated communities makes him just like Hitler. Great analysis. So what do you think is a solution? What can be done so that within a generation, this community is full of healthy, happy people? No, they moved themselves. They are not prisoners. They can integrate with Canadians. People migrate for better lives everyday including animals. Aboriginals are the only mammals that are stuck and incapable of adapting. Road and internet connectivity are equalizers. Jobs are hard to find anywhere. With internet, it doesn’t matter where you live. Isn’t this Senatorial job going to interfere with his golf course development. I guess he needs another life pension just to get by… Strangely his quotes are right on here….about time we stopped treating natives as sacrosanct. And issue them some prophilactics… and ain’t that the proof… Trudy’s paying back the party elite who put him in… I suspect the back room boys are just getting started, under comoflage to boy wonderment..
Obviously; can’t live in the middle of nowhere and expect jobs to fall from the sky… It’s not easy getting a job in the city, much harder the farther away you are. Although he’s right, I fully expect the politically correct nut-jobs to descend upon him. 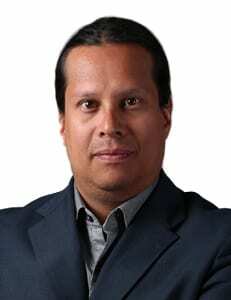 Natives are the only group in Canada that refuse to fully integrate with Canadian society. There’s no future in nostalgia. I think “traditional way of life” is an excuse to do nothing. My mom moved away from her village in Greece for a better life in Canada. She’s a proud Greek woman. She didn’t speak a word of English when she arrived in Canada yet retired wealthy through hard work. My mom has a rich Greek culture but aside from that the rent is still due at the end of the month. She had to migrate and leave behind her entire nation for a better life. Natives refuse to move to a neighbouring town. How do you mean “refuse to fully integrate”? You must be an ignorant white person. They shouldn’t have to move. They are already in their own country.